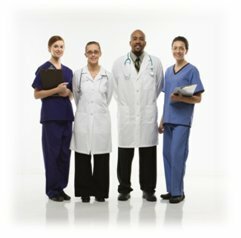 We often recommend that professional practices consider purchasing a Group LTD plan to supplement the individual disability coverage of the physicians or attorneys in the practice. This helps to cover more income and can result in higher benefits in the event of disability. The owners of the practice may also provide a valuable employee benefit, which helps attract and retain key employees. One of the advantages of adding Group LTD to your disability protection is that it is generally issued on a Guaranteed Issue basis, with no physical exam or other medical underwriting*. This means that professionals who have difficulty qualifying for personal coverage because of health history can often obtain coverage. Additionally, when putting this plan in place, we can help you design the plan so that physicians’ benefits are received on a tax-free basis. We proudly offer The Hartford Physician Group LTD program, which provides generous coverage and special enhancements designed for physician groups. These include a definition of occupation that protects the specialty or sub-specialty that the physician trained for and is performing. Importantly, The Hartford has a dedicated claims unit that specializes in physician disability claims, so that physicians’ claims are handled promptly and accurately. In the NYS counties where this program is endorsed by the County or District Medical Society, Sellers & Co. offers a medical practice a 7% discount on The Hartford Group LTD program, as well as a 2% allowance towards an optional benefit, if the physicians in the practice are Medical Society members. Sellers & Co. has specialized in protecting physicians’ incomes from the effects of disability for over 77 years. We can help your professional practice design a group Long Term Disability plan that meets your particular objectives, and our agency claims department will assist you at time of claim. *There are certain requirements such as those relating to the size of the group for Guaranteed Issue offers.